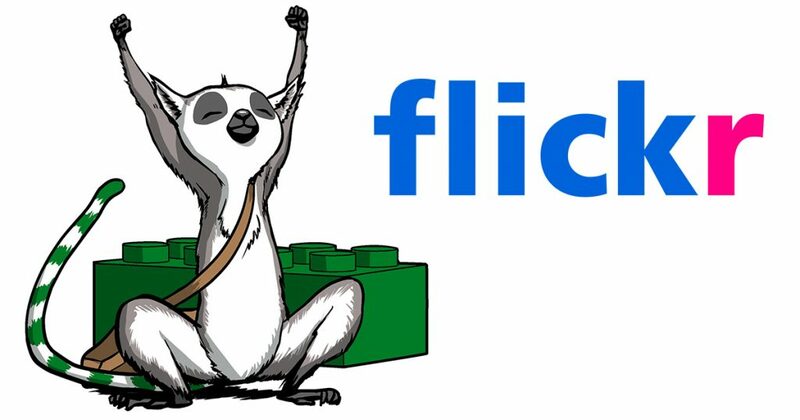 Back in 2013 Tyler Clites contributed a fantastic tutorial to the Brothers Brick on how to photograph your LEGO creations; and his latest creation proves once again that not only is he one of the LEGO community’s most talented builders, he’s also a master at presenting his work. Of course the featured spaceship has all the hallmarks you’d expect from Tyler: nice piece usage throughout, wonderfully shaped engines, and appealing splashes of colour for detail. However, as he notes, he wanted more for this craft than a shot of it flying through space. With a repurposed rock base, and the creation of some creepy bug aliens, we now have a story to be told. Hunkered down for repairs in the middle of nowhere, the ship’s auto turrets save the day. 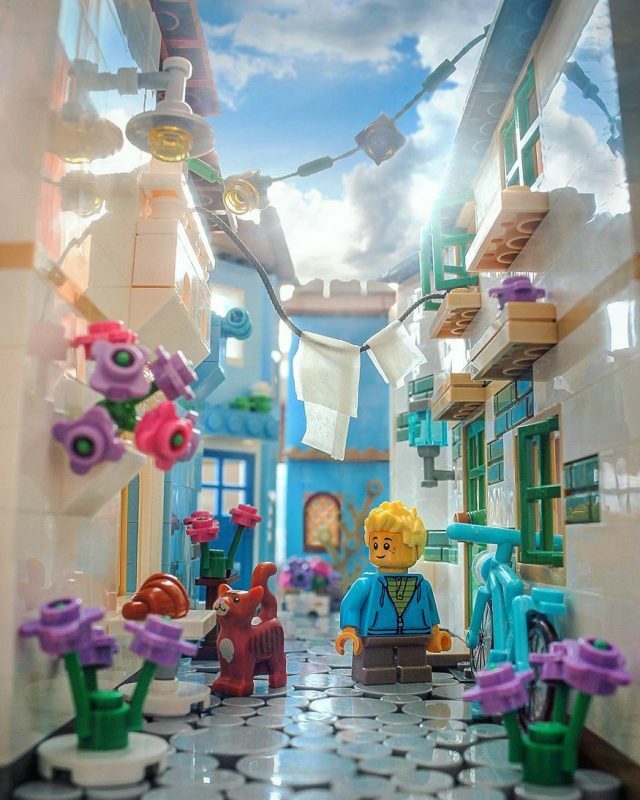 Mix in ace lighting effects and a swirling mist, courtesy of a vape pen, and you have what I have previously written about, the perfect marriage between LEGO and photography. 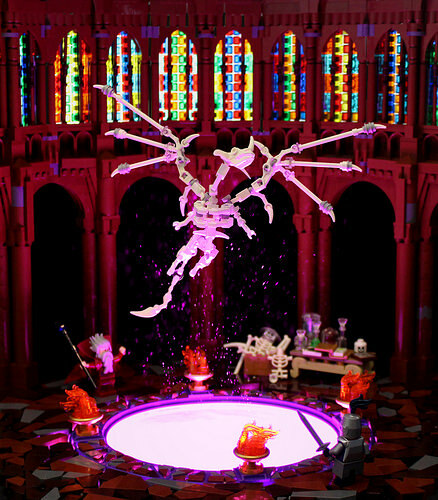 In a world where castle means intense textures and exotic part uses, Henjin Quilones brings a breath of fresh air with an all-LEGO library scene. While there are a few unique techniques like the huge armchairs and nice angles on the roof’s underside, the real quality of the creation is its atmosphere. The composition and posing of the minifigs really set up a great mood. 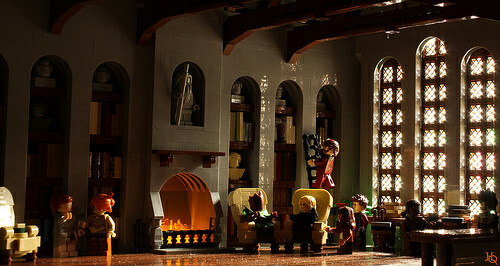 The best part has to be the lighting, with warm sunlight shining through the windows and a lit fireplace. 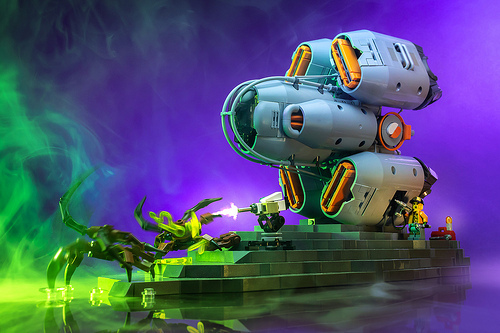 This is one of those cases when a creation is as much a build as an artistic photograph. 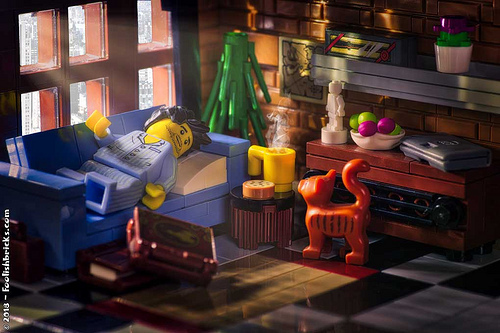 Here’s a great little LEGO scene from Foolish Bricks depicting a lazy morning spent on the sofa. There are no fancy building techniques on display, but there’s a good selection of parts which add depth and texture to every surface, and the details are meticulously placed to great effect. The precise layout is enhanced by some good macro photography, and the overall presentation is excellent — those light rays and the curl of steam from the coffee mug (which I’m assuming was added in post-production) elevate this model into something special. 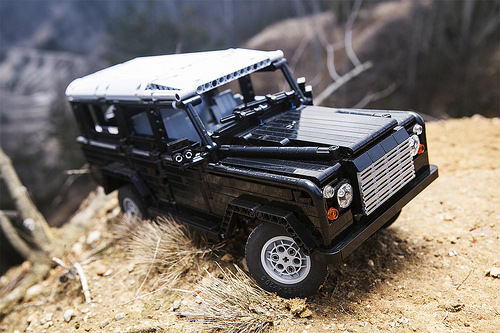 Krzysztof Cytacki’s Technic version of a Landrover Defender is an excellent version of Great Britain’s gift to the world of 4×4 offroading. While the model itself is nice, the photography is what first attracted me to Cytacki’s work. By taking pictures of his Landrover in the wilderness, Cytacki perfectly captures the feeling of a televised auto ad. You can almost hear the roar of the engine and smell the earthy aroma of mud kicking back as the vehicle scales the rugged terrain. The natural setting does better justice to Cytacki’s model than a plain background could achieve. 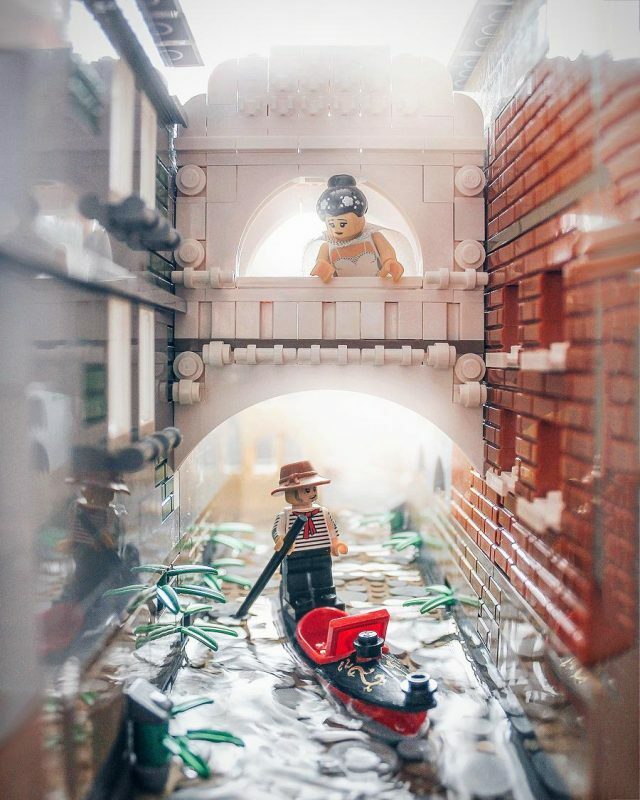 LEGO photography is an art in and of itself, as demonstrated by brickexplorer’s images shared on Instagram. This particular scene is cute and funny thanks to well-executed visual storytelling. 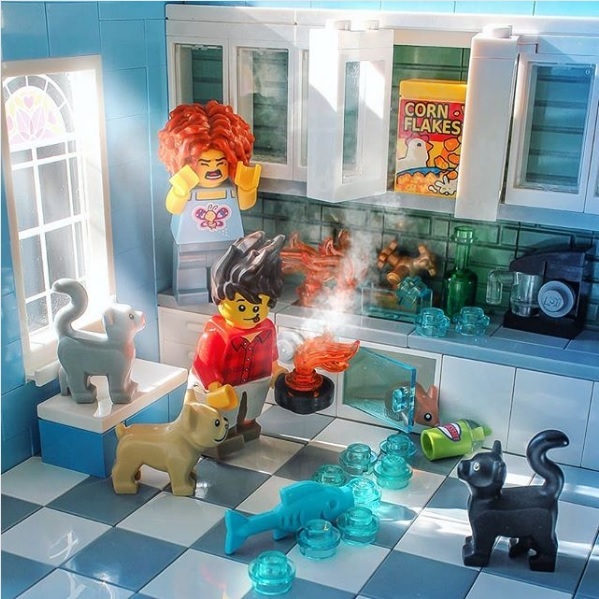 It’s a tale of the guy who thinks he can cook but is so distracted by his pets that he sets his food on fire. Meanwhile, Brickexplorer’s failed little chef is oblivious to the woman shouting at him from behind. If the fish flopping around near the dishwasher is any indication, this guy is about as good at taking care of his pets as he is making dinner. 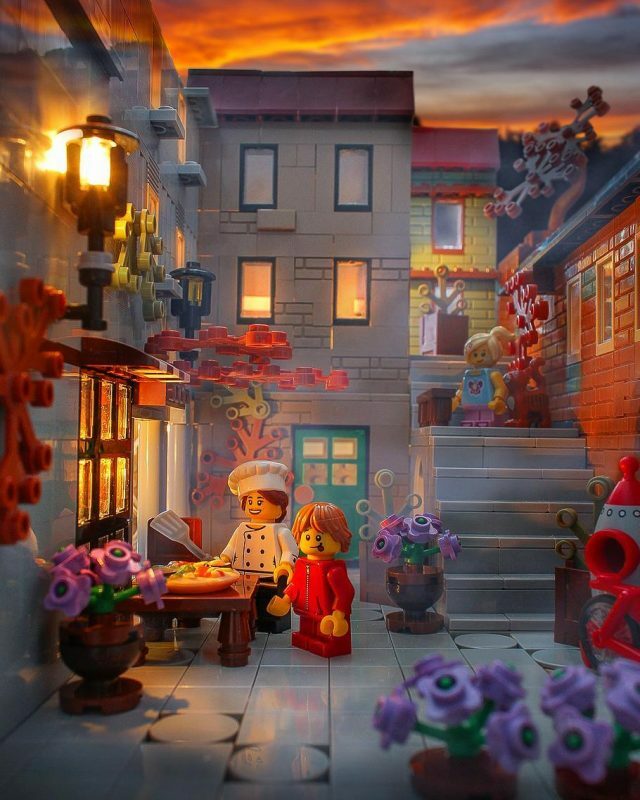 Everything about this scene is lively and fun to look at, thanks to the builder’s use of color and lighting. The way the sun shines brightly through the window reminds me of a morning sunrise. 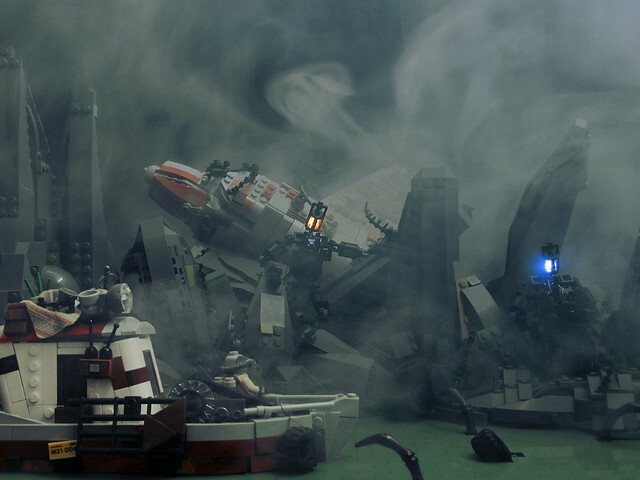 And editing the image to include smoke makes this scene all the more believable. An artistic view of Italy, painted in bricks. We have been enjoying a taste of Italy in a series of photographs by brickexplorer on Instagram. First we take in the view of a gondolier cruising along the famous canals of Venice. 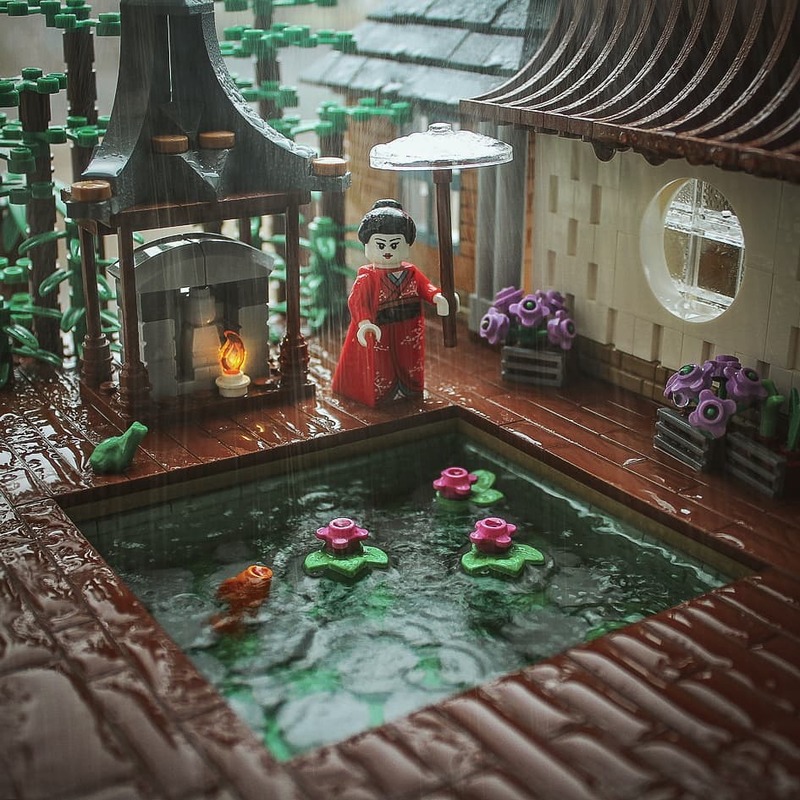 I love the combination of natural elements (be that water, sky or earth) with LEGO built surroundings. Next, let’s stroll through the narrow cobbled streets in the old town. A gatto is eyeing up a crossaint while some washing dries in the sun, what a peaceful scene. Finally, as the sun goes down, it’s time to relax and enjoy some freshly made stone baked pizza. The lights inside the pizzeria make it seem so inviting, I’m not sure how far people travel to enjoy theis infamous pizza, it looks like a rocket has just landed on the left. The planet-city of Coruscant is magnificent in the setting sun, and the expansive urban landscapes were one of my favorite visuals from the prequel trilogy. 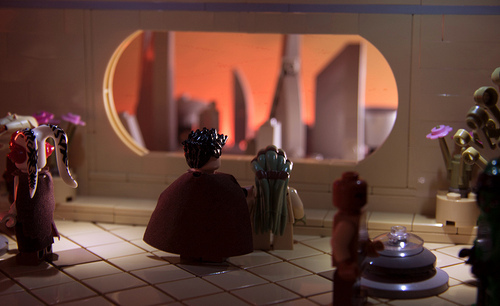 This image by Malen Garek of a view from the Jedi temple may have been erased from the archives, but it’s breathtaking nonetheless. Malen has nailed the colors, and the forced perspective backdrop is one of the better I’ve seen.